Delaware County held their annual Fall Festival on Friday, October 24, 2014. Families joined children and staff in a variety of events; music with Miss Grace and Miss Morgan, apple printing, and pumpkin bowling. Children made an owl’s face from graham crackers, marshmallows and candy corn and then enjoyed their creation. There was sand to explore and tubes of “spiders and cobwebs” to shake and observe. Arasapha Farms provided a tractor and hay wagon for a wonderful ride around the school property. The weather cooperated for a glorious day for all. This entry was posted in child stories, General info and tagged Easter Seals, fall festival, family fun, Music therapy, pumpkins on October 31, 2014 by Easterseals. 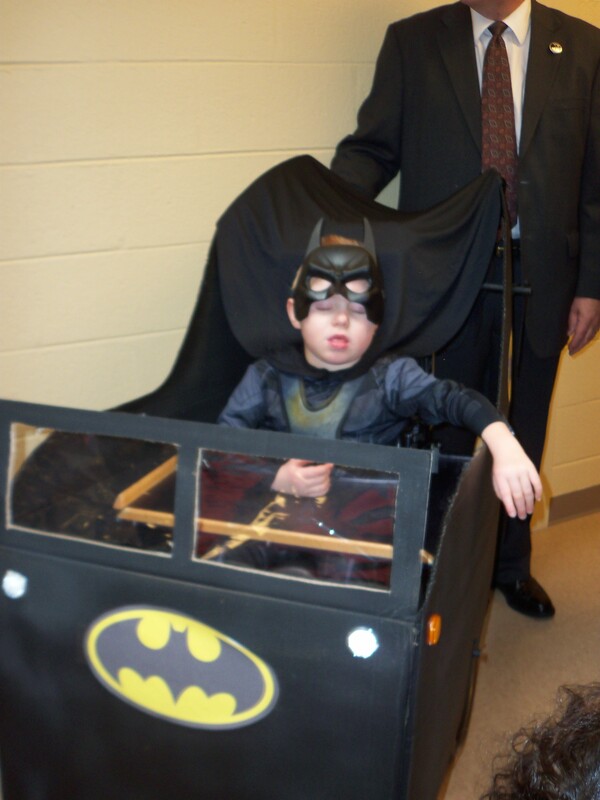 Halloween is upon us and this is a super exciting time for children….and many adults! But for some children, especially those with sensory processing issues, it can be a challenge. 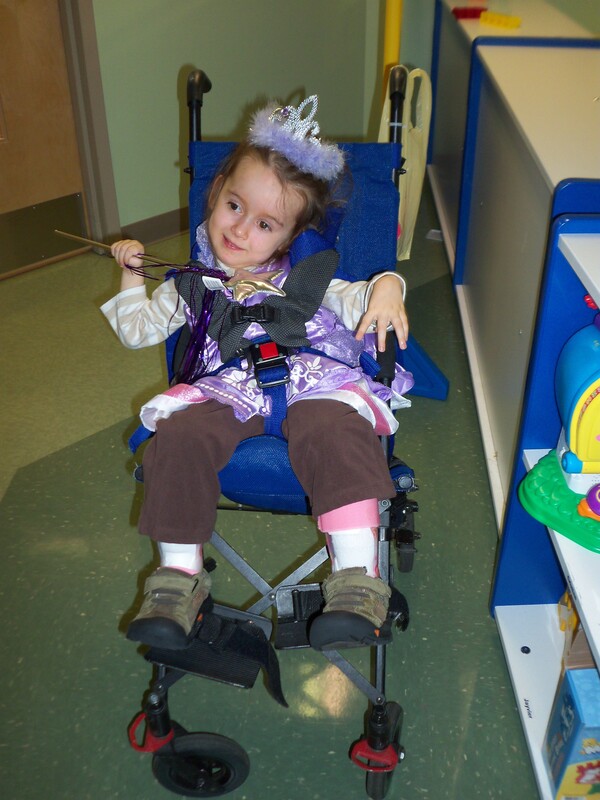 This entry was posted in General info, Occupational Therapy, Tips from therapists and tagged Easter Seals, Halloween, Occupational Therapy, sensory processing issues on October 29, 2014 by Easterseals. Why is messy play so important? Opportunity to use hands, fingers in a different way. Practice various grasp patterns, pinching, poking use of both hands to push or pull, etc. The great experiment: Learning concepts and characteristics of substances and how we can impact it. Grading motor control: how do I control the way I touch and handle substances? Learning about different textures, consistencies, density of materials while at play. Is it thick/thin, heavy/light, lumpy/smooth, cool/warm? Exploring different ways to handle materials: What happens if I squeeze it hard/ medium/lightly? What happens if I stroke my finger very lightly over the surface? Can I poke a hole into it? What happens if I push a car through it? What happens if I blow on it? How can I find something hidden it? Desensitization for tactile defensive kids. Various strategies to decrease sensitivities to messy materials: Start with dry/smooth textures and gradually add texture; can use tools to touch wet messy materials, gradually encouraging child to use their hands, etc. Practice use of tools and what they can do. Work behaviors involve preparation, starting, completion and clean up. All aspects of the task are just as important as the actual play- helps with task focus, persistence, transitions. Also provides opportunity for grooming practice (washing hands). Working alongside peers while engaged in messy play fosters social skills. Opportunity to explore creativity with a non-structured activity. Anna Lassman has been an OT for 35 years, working in a variety of pediatric settings in New York, California and, for the past 18 yrs, in Pennsylvania. 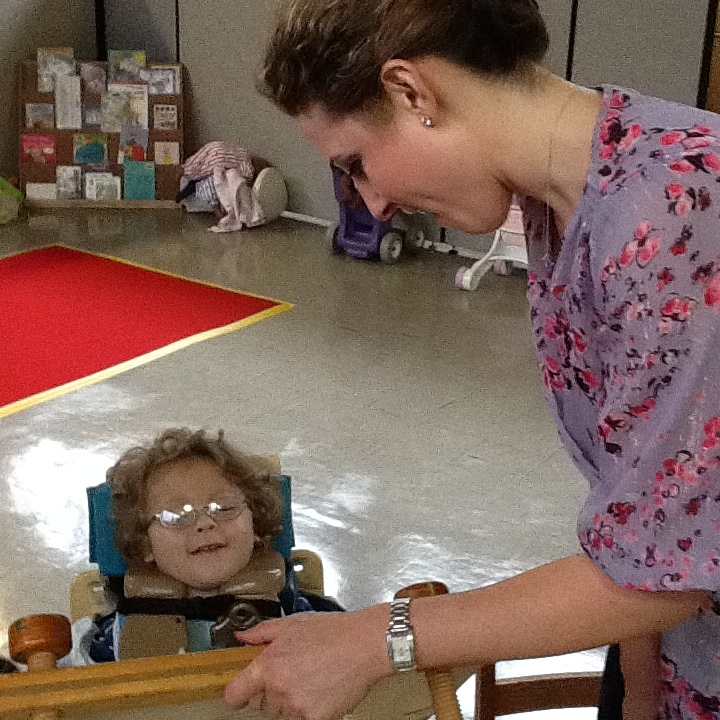 She has been with Easter Seals in the Philadelphia Division as the OT department head for 7 years. She has special interests working with infants and young children with feeding difficulties as well as working with children with neurological impairment. Her favorite aspect of her current job is the ability to mentor new practicing OT’s as they begin their career in the field. Anna loves the ocean and misses easy beach access, but loves the Philadelphia area. 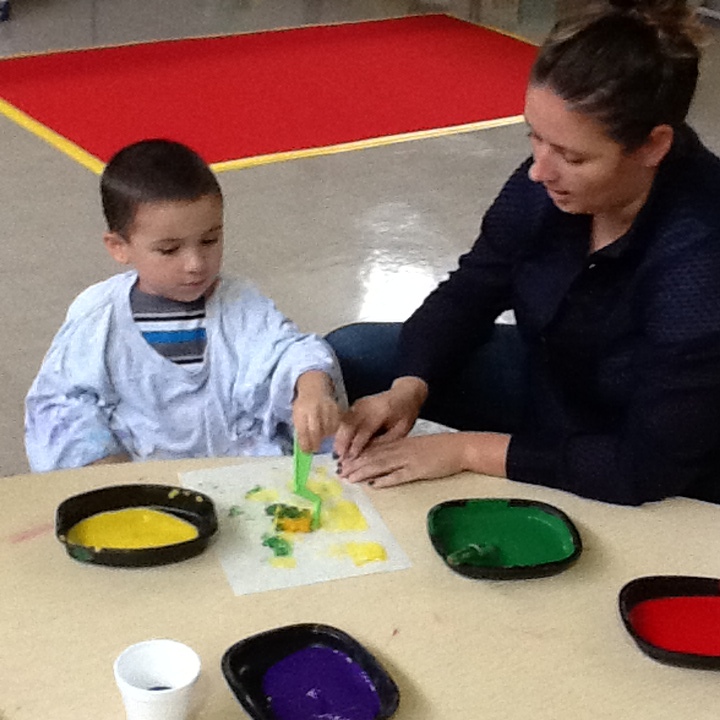 This entry was posted in Occupational Therapy, Tips from therapists and tagged Easter Seals, fine motor skills, play, sequencing, tactile defensive, task orientation on October 24, 2014 by Easterseals. Positive Behavioral Interventions and Supports Program (PBIS). We are working to make our school the very best it can be! By Adopting the Positive Behavioral Interventions and Supports Program (PBIS). 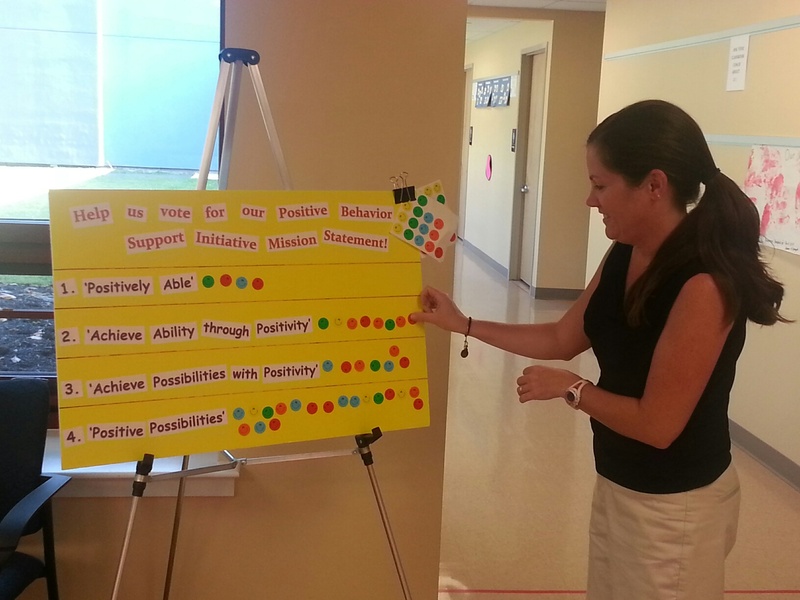 Positive behavior interventions and supports is a planned way to meet the behavioral needs of students in a school. Parents are important in the success of PBIS, and many choose to use a similar system at home. Now that we have chosen our mission statement we can begin the journey of implementing this idea throughout our entire program with the help of parents, students and staff. Stay tuned for more on how we plan to spread the Positive Possibilities, beginning with our four program wide expectations; Be Safe, Be Engaged, Be Responsible, Be a Team Player! This entry was posted in From the teacher, General info, Tips from therapists and tagged Approved Private School, Early Intervention, Easter Seals, PBIS, Positive Behavioral Interventions and Supports Program on October 16, 2014 by Easterseals. 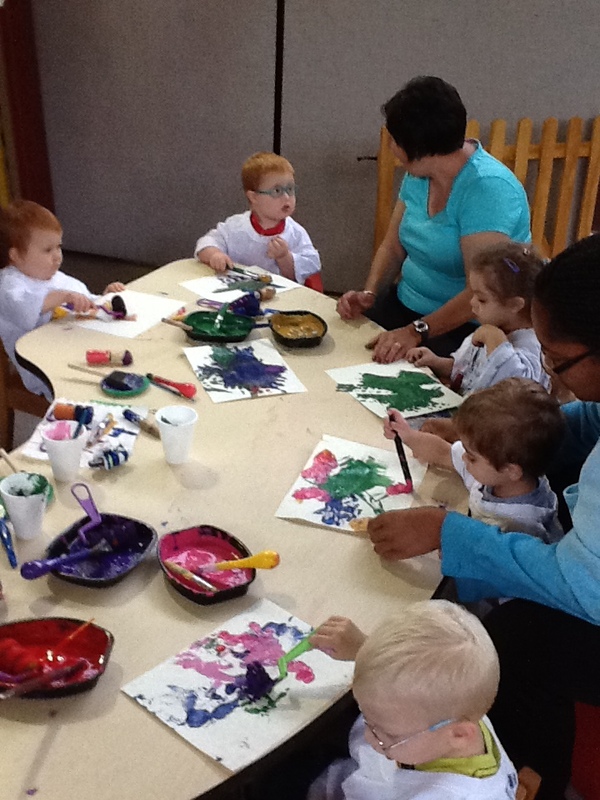 On October 2, 2014, 22 preschool children took brightly colored paints, paper, brushes, rollers and their hands and created marvelous pieces of art. Every child worked hard on his/her painting and seemed to take delight in the results. Staff supported the children in their efforts. The line of paintings drying on a long clothesline grew into a beautiful display of colorful creations. This project was conceived by Julia Angelos, whose family has been involved with Easter Seals for over five years. Julia wanted to give back to an organization that helped her family when her brother was young. 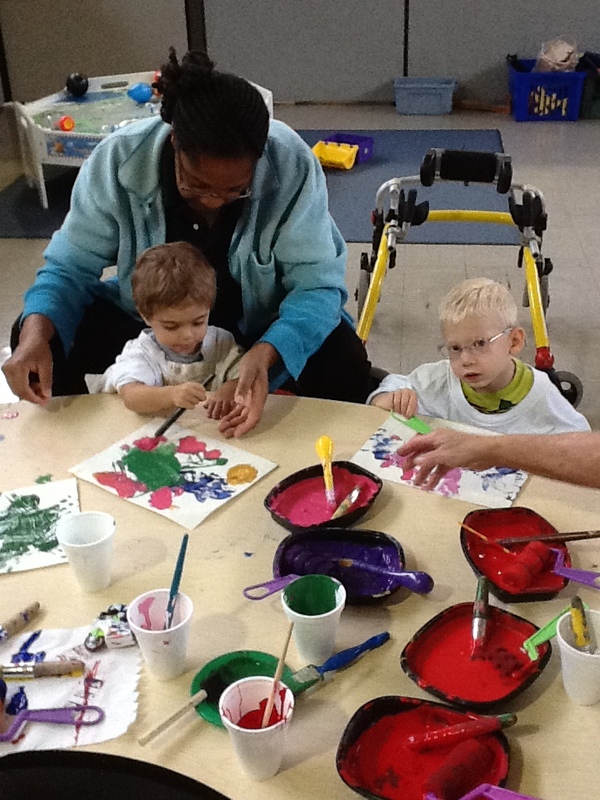 Preschool programs have always offered opportunities to young children to paint. 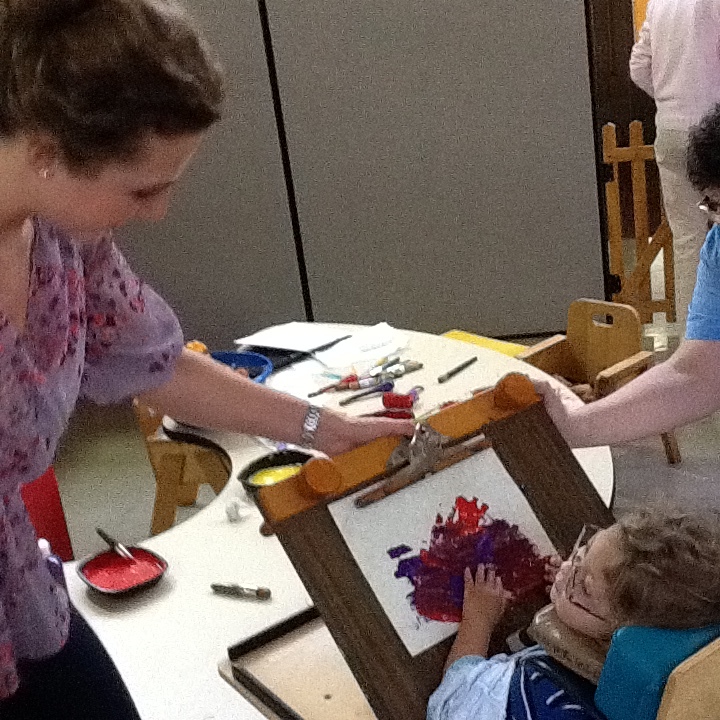 An easel and smocks are staples in preschool programs and many families have paints, paper and brushes for the children to use at home. Have you ever wondered why? Painting offers an opportunity for children to grow in all developmental areas in addition to allowing their creativity and imaginations to take flight. Children use the small muscles of their hands to hold the brush or painting utensil and their eye hand coordination to apply the paint to the paper. Language grows as they talk about their work and adults have an opportunity to expand their language repertoire. As children get older, they will talk about what they are painting and can even write a story in their own script and spelling about the work. There are many chances for concept development, such as mixing red and yellow paint to make orange, drawing first geometric shape or noticing some lines are longer than others. The experience of painting expands children’s growth in many ways! They can even participate in the clean-up process and learn important self-help skills. It’s interesting to keep samples of a child’s painting as they grow to watch the development of their skills. Early “scribbles” eventually turn into representational art. This entry was posted in Uncategorized on October 10, 2014 by Easterseals.